It was an exciting morning for the children at Acre Woods Macquarie Park. The sound of a siren outside the centre announced that they were about to get a very special visit from the police. Centre Manager Kristine Dowell says they organised the police to attend the centre as the preschool children had been learning about their community and who was in it. These kinds of visits help children to gain a broader understanding of the world in which they live and to see how different people play different parts in the community. Senior Constable Chrystal from Ryde Police Station spoke to the children about the police uniform, how to identify police in our community and how the police are always here to help if needed. She explained the different modes of transport that police officers can use around the community (the children loved the police motorbike the most!). A highlight of the visit was when the children were able to venture out in the police car in small groups with their educators. “We listened to the police siren (very low of course), saw the lights all flash and sat in a REAL police car!” says Kristine. Senior Constable Chrystal then showed the children the handcuffs that police may use when an adult is very rough and used their literacy and numeracy skills to locate the police badge, “000 and the word “Police” on the car. 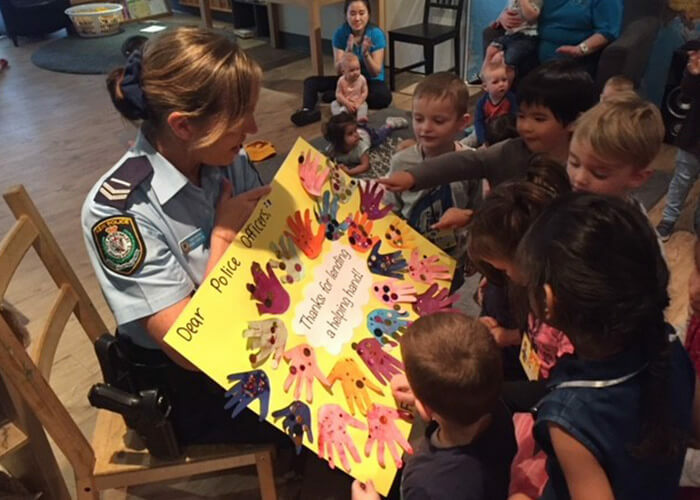 The children created a poster for the Ryde Police Station to thank them for taking the time to come and talk to the centre which they gave to Senior Constable Chrystal on the day. 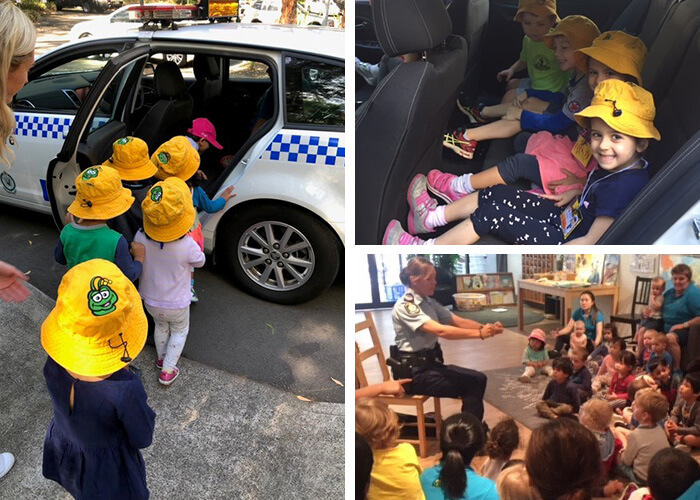 Having the police come to visit was not only very exciting for the children at Acre Woods Macquarie Park, it helped them to gain a deeper understanding of their community and to feel safe in the knowledge that police are there to help them when they are in need. We are looking forward to seeing who visits the centre next! Guess who made the newspaper?! 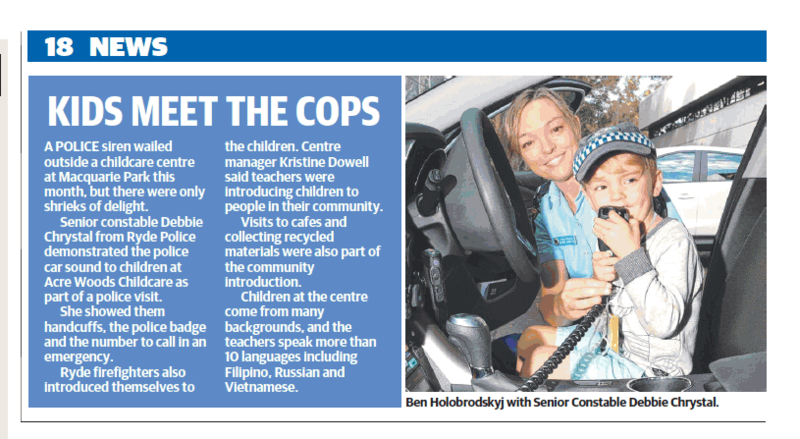 The very special visit from the police even featured in the local paper, Northern District Times! Read the article below. To find out more about this wonderful early learning centre in Macquarie Park, and to book yourself a tour, head here.